Photographs of Salwa “Sally” Kader rubbing shoulders with leading politicians and spiritual and religious leaders of the world adorn her office walls. These include photos with former Pakistan Prime Minister Benazir Bhutto, teenage Nobel Peace Prize winner Malala Yousufzai, Buddhist monks, Vatican representatives, and top US and UN officials. Kader, who is of Lebanese descent, is based in New York and heads the US Federation for Middle East Peace (USFMEP), which promotes — among other things — interfaith dialogue to foster understanding among the world’s religions, and thus contribute to world peace. 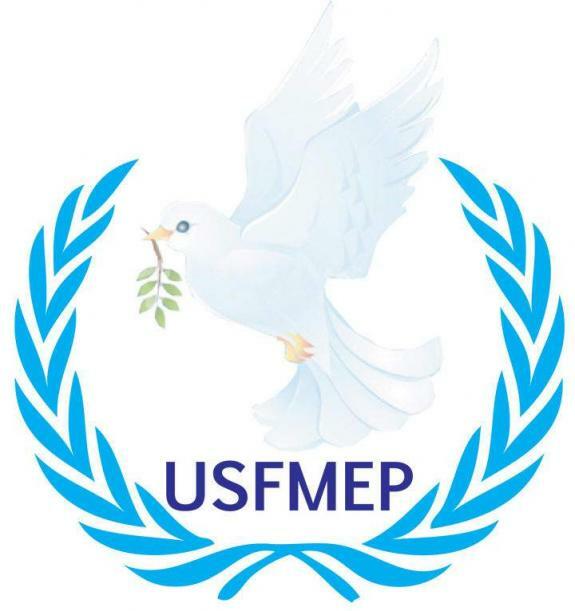 In an interview with Weekend Review, Kader explains that the USFMEP is a bipartisan, non-profit and non-governmental organisation that has 13 chapters around the world, including the New York headquarters. “I was born in Beirut. I obtained a bachelor’s degree in history and archaeology from the University of Lebanon and came to the US in the late 1960s to pursue higher education. I obtained a master’s degree in history from Central Missouri State University. I also participated in courses in comparative religion, communications and conflict resolution,” she says. Her office, nestled in a building that overlooks the UN headquarters on New York’s 1st Avenue, also displays neatly framed certifications and citations acknowledging the work she has done to promote peace. These include the Millennium Development Goal Award, The Alexandria Culture Award from the Alexandria Library in Egypt, The Women’s Empowerment Award and the Sinai Peace Award. She claims that interfaith dialogue can help overcome distrust and resentment between people of various cultures because “most people are judged by their religion”. The spiritual leader of the International Society for Krishna Consciousness (ISKCON), Bhakti Charu Swami, was invited in the past to speak at a discussion on “Exploring the Practice of Reconciliation: Muslims’ and Hindus’ Vision of Understanding, Tolerance and Peace” hosted by USFMEP at the UN headquarters. This event sprung from an earlier meeting between Swami and the UN’s Committee on Spirituality, Values and Global Concerns on identifying commonalities between people of various faiths through spirituality and consciousness. At the event, Kader paid homage to the victims of the November 2008 Mumbai terror attack, which claimed more than 180 lives and left more than 300 injured. Swami, in her speech, gave a moving tribute to the tragedy. “This problem is particularly difficult to deal with because it is happening in the name of religion, which is actually meant to establish peace and harmony, love and trust, understanding and sympathy,” Swami said. Kader has organised meetings in India, China, Singapore, Malaysia, France, Sweden and Lebanon, among others. She organised an interfaith Buddhist-Muslim dialogue on September 8 at the UN. A similar dialogue is also being held for the youth who appear to be “highly confused”. “The young people want to know where they stand amid the confusion you see in today’s world,” Kader says. Women’s issues have been a strong motivation, a passion, for Kader. She champions and works towards the empowerment of women and uplifting their status in civil society. She claims to be actively involved in several initiatives, including hosting interfaith discussions between women representing various faiths, raising awareness on the trafficking of young girls, promoting women’s role in the media and encouraging women to participate in society, politics and decision-making. Some of her work has included helping refugee Palestinian women and hosting international conferences, including one on the “Role of Immigrant Women towards International Peace” held in Stockholm. Kader says she has a soft corner for children and sees herself as an activist working in the fight for greater recognition of children’s rights. She has promoted youth empowerment through events such as the Montessori Model United Nations Conferences in April 2011 and 2012 and youth interfaith dialogue events, in addition to hosting several panel discussions on trafficking of children. Kader says her interest in supporting youth education has led her to speak to university students in many parts of the world, including at the University of Wollongong in Dubai (December 12, 2010), University of Saint Mary in Leavenworth, Kansas (September 2007) and Georgetown University (November 14, 2005). She has sought to inspire and educate students about peace-building and has held youth interfaith dialogues to promote tolerance and mutual understanding. “I have been attending and organising sports events and international tournaments for youth because I believe that they can channelise their energy in fields such as sports, education and creativity.” After all, it will be the young generation that will contribute to nation-building in the future, she says. Manik Mehta is a writer based in New York.